Matt said to us about his print; ”The idea was to capture and tap into the iconic feel of the character. So composition was important as well as perspective. it has a ʻWantedʼ poster feel to it." Leon, the top hit man in New York, has earned a rep as an effective "cleaner." But when his next-door neighbors are wiped out by a loose-cannon DEA agent, he becomes the unwilling custodian of 12-year-old Mathilda. 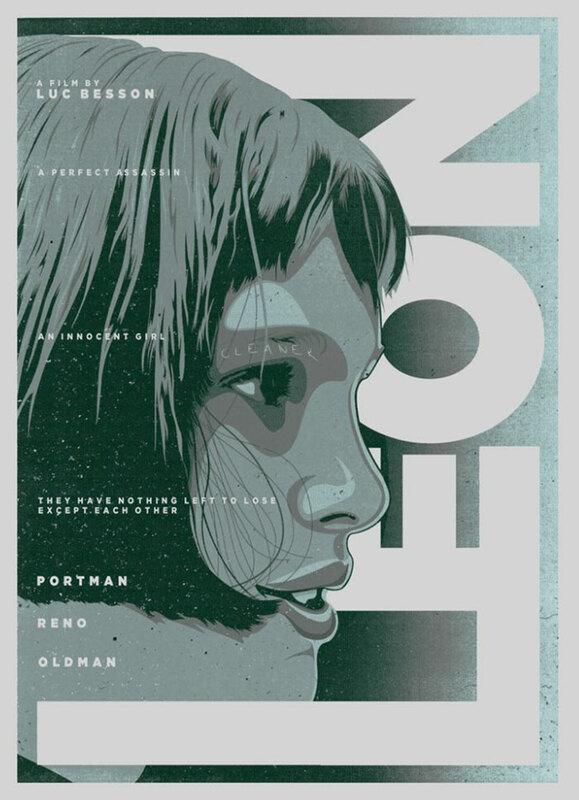 Before long, Mathilda's thoughts turn to revenge, and she considers following in Leon's footsteps.